Here comes one of the biggest shopping days of the year – Black Friday. It’s a time when many people go wild with their Christmas shopping, determined to get the best bargains, even if that means shopping all night at one of the many stores that plans to be open all night that night. If you don’t like the ridiculous overspending encouraged by Black Friday, why not rebel and find something to do that’s easier on the environment? In North America, Buy Nothing Day is the day after Thanksgiving, otherwise known as Black Friday. If you don’t approve of joining the crowds, show it, even if you plan to do Christmas shopping later. Just refuse to shop on Black Friday. I love Buy Nothing Day because it means I can sit back and enjoy family at a time that’s a little quieter than Thanksgiving itself. Leftovers mean that meals are often easy to come by, and we’ve all done our holiday routine. Why hurry into the rush of the holiday season when you can ease yourself into it only as far as necessary? Take this day off. If you’re into crafts, cooking and so forth, why not start work on your homemade gifts? I’m making a beautiful hair stick pair for my oldest daughter… good thing she doesn’t read my websites, I can say things like that. She has wanted one for ages. Might have to hand it over a bit before the holiday so she can wear it for Christmas. 3. Go shopping at thrift and resale stores. Rather than buy new, see what you can find used to give as Christmas gifts. You may be able to find some gifts that are quite affordable used, but would be prohibitively expensive if bought new. Know your audience and go for it. You may also be able to find great used items on sites such as eBay, Craigslist, Freecycle and so forth. 4. Buy warm clothes and bedding. Want to save a little on your heating bills this winter? Seek out deals on warmer clothes and blankets for your bed. The warmer you dress, the less you have to heat your house to keep comfortable. Same goes for your bed when you go to sleep at night. Why stay indoors when you can get outside. Whether or not you can reasonably go hiking depends, of course, on your local weather, but if it’s just a matter of bundling up you may still be able to have some fun out there. Keep it safe and respect local conditions, of course. Have a cause you’d like to support? Get out and help it rather than go shopping. You could also join one of the Occupy groups if that’s an interest of yours, just for the day or longer if you like. Just do something that is your way of trying to make this world a little better. 7. Seek out eco friendly products – cautiously. 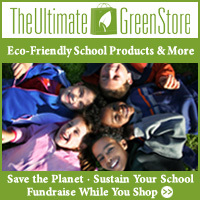 If you really need to get out into the sales, look for the eco friendly options out there. That may include a lot of online shopping, which allows you to avoid the crowds, plus you don’t have to drive anywhere. Published by Stephanie, in Going Green. Tagged with black friday, buy nothing day, green shopping, holiday shopping.